The success of Project Mecistops rests not only with its dedicated ground staff, but on its ability to integrate key local institutions into the project’s very foundation and to link with international organizations. Côte d’Ivoire’s Ministry of Water and Forests (MINEF) is responsible for ensuring the sustainable management and the conservation of Ivorian fauna and flora. In 2018, we signed a 5 year collaborative agreement with MINEF as one of our principal collaborators ensuring the future of the West African slender-snouted crocodile and all the species with which we work. The Ministry is divided into several different sectors with whom we work on a daily basis, including the Abidjan National Zoo (ZNA), the Division of Wildlife and Hunting (DFRC), and SODEFOR, the agency responsible for forest development in Côte d’Ivoire. The Abidjan National Zoo (ZNA) was created in 1972 with the objectives of supporting species conservation efforts in Côte d’Ivoire, facilitating scientific research on the country’s wildlife, conducting outreach and education about West African environmental and conservation problems, and, finally, serve as a recreational site for families and other visitors to Abidjan. Project Mecistops leader Matt Shirley visited the ZNA in 2006 and recognized the potential to regrow a crocodile conservation program based at the zoo. However, it wasn’t until 2013 that our collaboration with the ZNA began in earnest. Richard Champion, the former assistant director of the ZNA, contacted us seeking advice on how best to manage this captive crocodile population. Together we decided that this colony represented the best chance for the survival of this species in the region and worked to ensure their place as a priority species for the ZNA. Since then we work on an almost daily basis with the ZNA to ensure the sustainability of all three crocodile, and other, species at the zoo. We conduct regular health assessments, work with the keepers to establish best management practices, and to constantly improve the living conditions. At the beginning of the project we genetically screened all individuals for relatedness and permanently marked each individual with a PIT tag for ease of long-term identification. Together with the ZNA staff and our international partners we are constantly working to ensure the quality and efficacy of this conservation breeding program. Aside from the crocodiles, we work to help the ZNA achieve international status, notably by searching funds and partners to support the rehabilitation of zoo infrastructure and capacity. We have invited zoo professionals from all over the world to spend some time at the ZNA helping it become a modern zoo in West Africa. 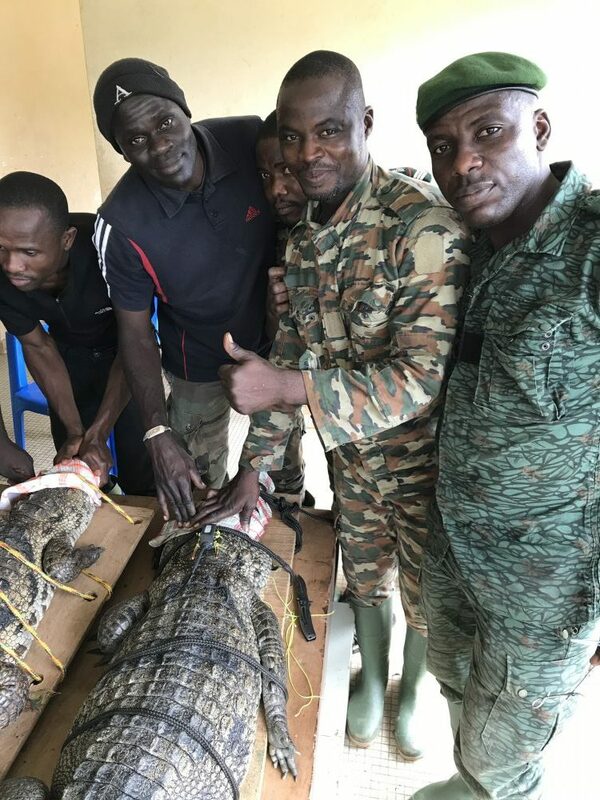 As the governmental authority responsible for Côte d’Ivoire’s endangered species, and in fact all wildlife, the DFRC is the leading conservation authority ensuring the future of slender-snouted crocodiles, pangolins, and all species with which we work. We regularly work with the DFRC (Direction de la Faune et des Ressources Cynégétiques, Division of Wildlife and Hunting) to help them manage Côte d’Ivoire’s populations of all three species of crocodiles, including the development of effective management and conservation strategies and training wildlife agents to manage human wildlife conflicts. As the agency responsible for forest development in Côte d’Ivoire, SODEFOR ensures the proper management and development of forest reserves, including their resident wildlife. In this sense, the forest reserves represent potential areas for reintroduction and conservation. Project Mecistops has been working with SODEFOR since 2013 to evaluate existing crocodile populations and the potential of these areas to receive additional individuals. The Ivorian Office for Parks and Reserves (OIPR) is responsible for protecting and enhancing Côte d’Ivoire’s biodiversity and ecological processes through the implementation and management of protected areas – specifically national parks and wildlife reserves. In 2014, we signed a collaboration agreement to enhance the knowledge of and conservation efforts for crocodiles in Ivorian national parks. Since then, we’ve been working hand in hand to complete crocodile surveys in parks, train OIPR agents in crocodile monitoring and other technical methods, and evaluating threats to park aquatic ecosystems. Afrique Nature is a conservation NGO active in facilitating Côte d’Ivoire’s efforts to manage its protected areas. 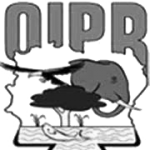 They work hand in hand with OIPR to strengthen their capacity to combat anthropogenic threats and implement appropriate conservation policies at local, national, and regional levels. Afrique Nature supports Project Mecistops as both its in-country fiduciary and by providing advice on Côte d’Ivoire’s administrative and technical structures. Interestingly, the leadership of Afrique Nature – Fanny N’golo and Francis Lauginie – were the leadership of the Abidjan National Zoo when the West African slender-snouted colony was first established! 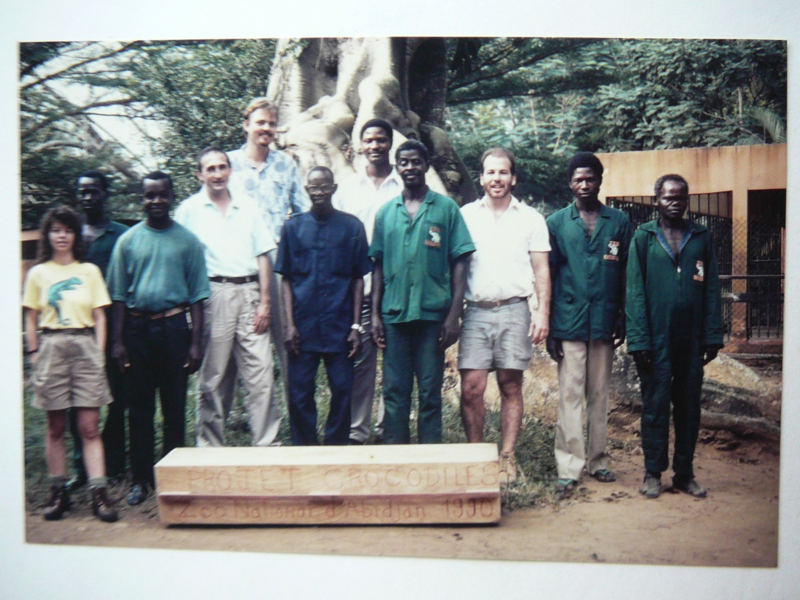 Their long-term dedication to crocodile conservation in West Africa is a great benefit to our efforts. Université de Nangui-Abrogoua (UNA) is devoted to training students and researchers in the human and biological sciences. 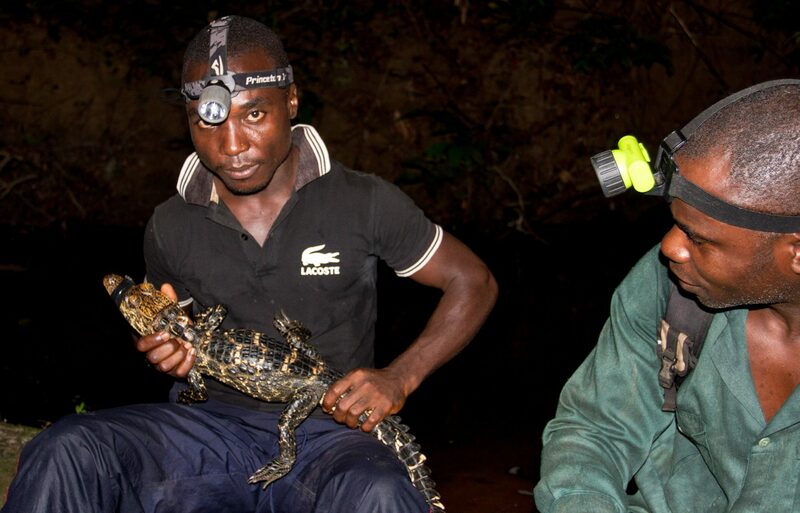 Through the partnership with the Project Mecistops, Ivorian students and Americans are trained in the science and conservation related to crocodilians and other species in Africa. 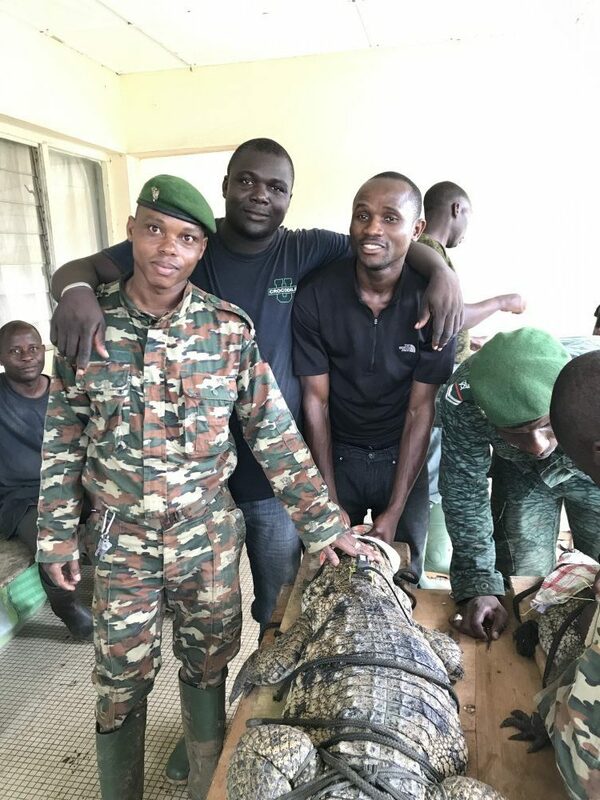 By capitalizing on Nangui Abrogoua University’s already productive aquatic biology lab and research group, we hope to create a group of national stakeholders working to ensure the sustainable management and conservation of Côte d’Ivoire’s crocodiles and other aquatic species and resources. Private donors, such as the are Zezza family and Colin Stevenson, are an important source of support for Project Mecistops. 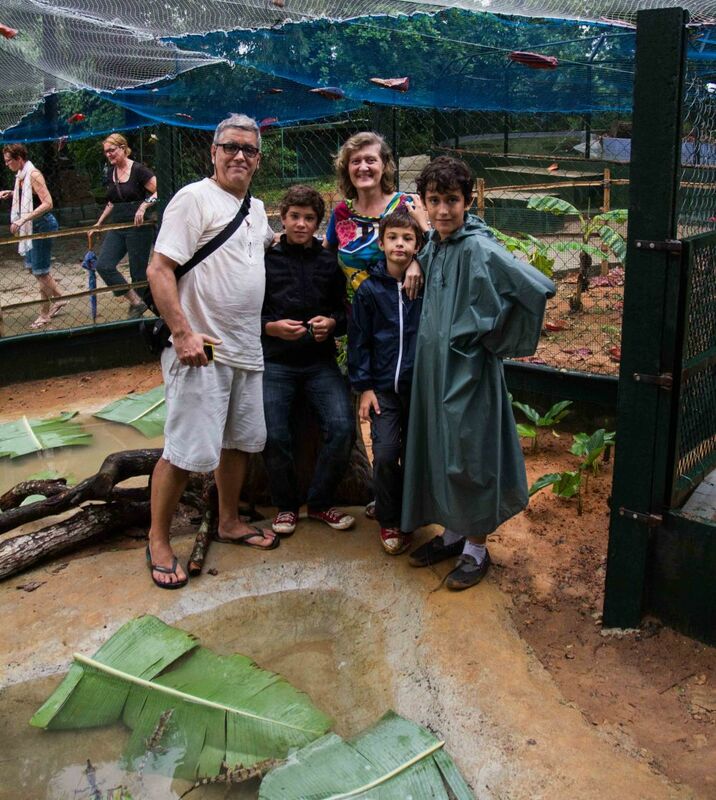 The Zezza family funded the juvenile croc’s pool and they regularly hosted numerous project visitors in Abidjan. We would like to thank the many photographers who gave us permission to use their images on this site, notably those available from the IUCN Pangolin Specialist Group archive.  And, last but not least, we thank Ana Meira and her team at RegularAnimal for all their wonderful help and patience in designing and constructing this amazing website! 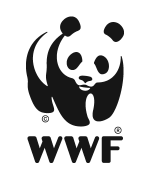 We thank these organizations and individuals dedicated to wildlife conservation in West and Central Africa – without whose support species conservation projects such as ours would not be possible! The success of Project Mecistops rests not only with its dedicated ground staff, but on its ability to integrate key Ivorian institutions into the project’s very foundation and to link with international organizations. © 2018 Project Mecistops. Developed by Regular Animal.